WHAT THE HELL IS A MAIBOCK? 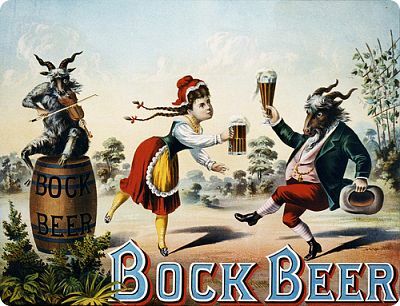 Bock beers have traditionally been brewed for special occasions, aka “this time let’s REALLY get fucked up.” They’ve also been brewed to coincide with the fasting of Bavarian monks, which may explain why many Bocks, especially Maibocks, are released during the Christian season of Lent. The Maibock style is an update of the style to conform to the popularity of Pilsner/Lager beers in the mid- to late-1800s, or a stronger version of the German Helles or “light-colored” beer (aka Heller Bock). The Maibock is lighter in color, less malty, and presents a drier finish with its larger hop profile. What separates the Maibock from other light beers is its balance, toasty malts, and a spicy or peppery taste coming from the hops. 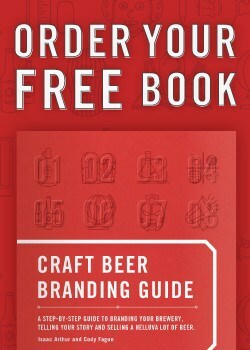 They generally feature Pils and/or Vienna malt, with Munich malt, Noble hops, and lager yeast. Smuttynose Brewing Maibock (Portsmouth, NH) – Birthed by one of New Hampshire’s largest brewers, this larger Maibock (8.7% ABV) is considered a bellwether of the style and one of the best examples our country has to offer. Summit Brewing Maibock (St. Paul, MN) – One of Minnesota’s best craft brewers provides a slight slant on the style featuring Moravian 37 barley and Czech Saaz hops. The first Maibock and still one of the best balanced Maibocks I’ve ever had. Rogue Ales Dead Guy Ale (Newport, OR) – A unique offering to the Maibock style, Dead Guy is brewed with Ale yeast, and features Pearl and Sterling hops. Oft awarded, this is one of their flagship beers and another excellent, balanced version of the style. With few styles made specifically for the spring season, the Maibock stands alone in a class that offers a wide variety of American spins on a classic Germanic style. I personally love the style because it symbolizes a return to the outdoors and the music festivals that often cropped up in Minneapolis after the long, harsh winters. Sure, there are a plentitude of reds and other styles that may better suit your fancy, yet this is the most unique and purely spring beer that’ll help you bridge the gap between winter and summer.